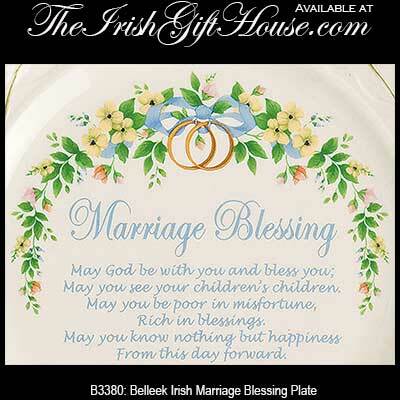 Belleek wedding gifts are detailed for the bride and groom, with the Belleek Claddagh bell as the most popular item. 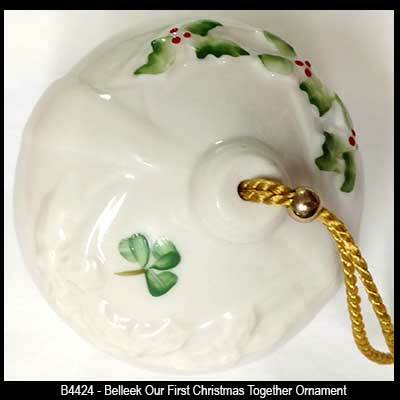 Keeping with Irish wedding tradition the horseshoe and the Claddagh bell are the two most popular Belleek wedding gifts at The Irish Gift House. 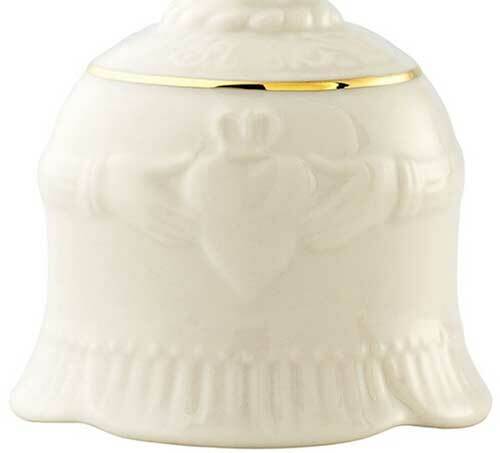 Belleek Claddagh make up bell is a traditional Irish wedding gift. Keeping with Irish wedding traditions the horseshoe and the Claddagh bell are the two most popular Belleek wedding gifts at The Irish Gift House. 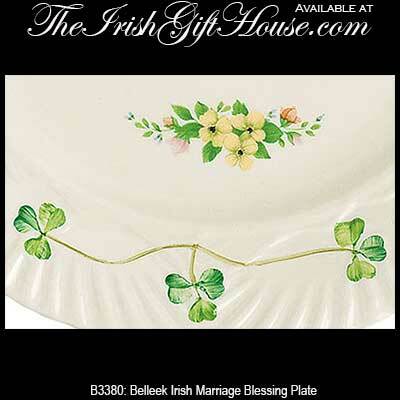 It is almost inconceivable that an Irish couple would marry and not receive gifts of Belleek. 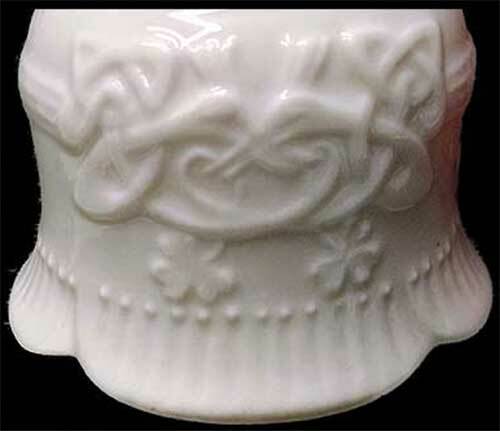 Additional considerations include the Belleek picture frames with their embossed Celtic knots and hand painted shamrocks along with the Belleek dinnerware so that the newlyweds will be able to host affairs in their new life together. This is just a small sample of our Irish wedding gifts and you may wish to browse our assortment of Irish Champagne Flutes that we offer with the Claddagh and with Celtic knots. From Irish wedding cake toppers to Celtic tiaras for the bride, we have everything you need for your special day even information about Irish wedding traditions.